The FDNY Hockey Team will be playing the New York Whalers in a charity hockey game to raise money for the family of Firefighter William Tolley who tragically lost his life this past month. 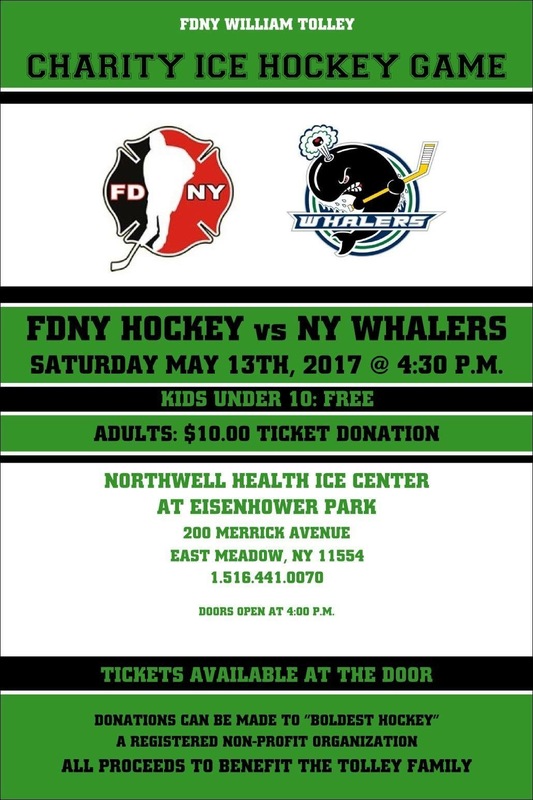 Game will take place at the Northwell Health Ice Center in Eisenhower Park - East Meadow, NY on Saturday May 13th at 4:30pm. $10 ticket donation at door (kids under 10 are free).